HWMO and its partners statewide worked together to launch Wildfire & Drought Look Out!, Hawaii's first coordinated statewide wildfire outreach campaign. Here are a number of news clippings from TV, radio, and newspaper sources and the links to each source. * Clearing combustible materials near homes and lanais. * Keeping grass short and tree branches off of the ground. * Creating a defensible space at least 100 feet around a home. * Removing leaves and debris from gutters and roofs. * Covering eaves and vents with -inch mesh. More than 60 percent of the state is experiencing moderate drought conditions, and parts of the Big Island are facing extreme drought, according to the U.S. Drought Monitor. 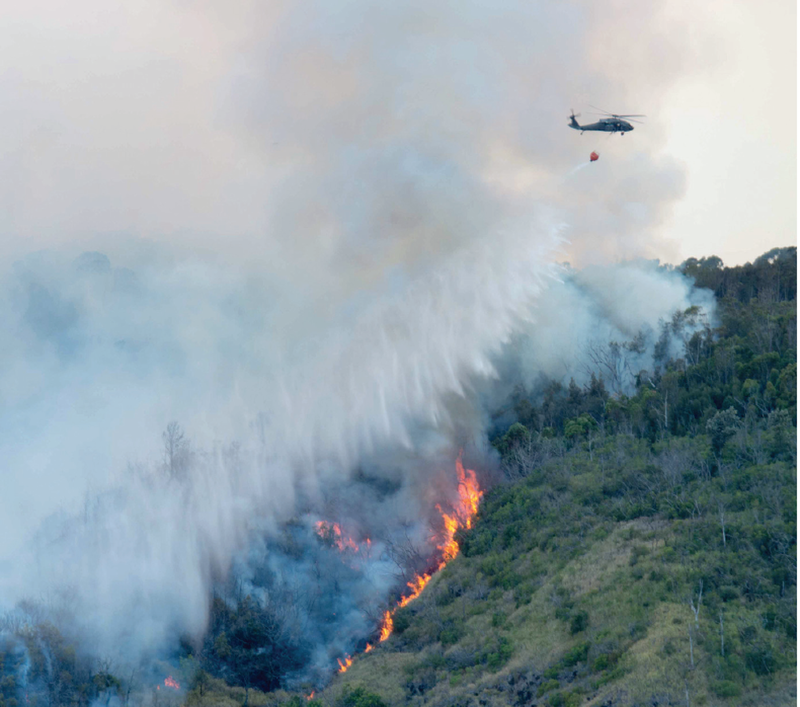 “We hope this campaign, which has both a public and a media component, will educate and inform everyone living in and visiting Hawaii about the year-around threat of wildfires,” DLNR Director Suzanne Case said in a release.